Tele-Vac provides upfront and forthright information to our customers during and after the inspection. The goal of our service is to help clients gain valuable insight about the condition of the properties sanitary and storm line systems so they can make informed decisions. With our professional high-quality recording equipment, we provide a detailed sewer condition assessment. Tele-Vac is a proud to be a member of NASSCO and all our camera technicians are PACP and LACP certified. We operate a fleet of CCTV pipeline inspection vehicles fully equipped with the latest in digital camera technology which enables surveying of pipes as small as 3-inches in diameter, up-to the largest of sewers and culverts. Tele-Vac will meet and exceed all your CCTV utility inspection needs and requirements by providing high quality video equipment and experienced crews on every job. Our RST, IBAK, Rausch Digital CCTV inspection systems allow the operator to record important information. The use of these systems allows us to localize and pinpoint problems such as cracks, sags, root obstructions, breaks or any other problem which might be present. 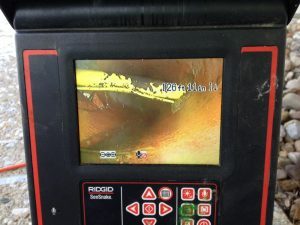 These systems are used to accomplish as-built inspections, locate all service connections and find buried manholes. In other words, it provides your city or organization certainty for all pipeline and pipeline related jobs. By using the latest technology in digital tv capture and POSM reporting software, Tele-Vac can survey and report in detail to suit clients’ individual needs. For larger structures, such as culverts, tanks and tunnels, Confined Space Trained and experienced Man Entry teams are available to deliver full surveys and condition assessment.